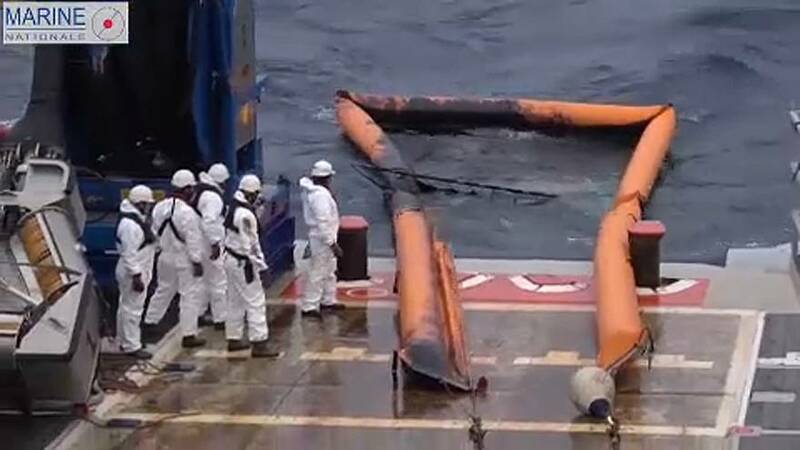 French authorities are working to contain a fuel spill off the Atlantic Coast after an Italian ship carrying more than 2,000 tonnes of fuel sank following a fire. All 27 people aboard the Grande America were rescued after it sank on Tuesday some 300 km off the city of La Rochelle, en route from Hamburg to Casablanca. Fuel leaking from the ship has created a slick of about 10 km long by 1 km wide. French authorities have launched an investigation and issued a formal warning to the ship's operator, Grimaldi Lines, to assess the damage and help prevent more spillage. France has also asked the European Maritime Security Agency for help using satellites to locate leaks. Grimaldi Lines said there were 45 containers on board carrying "hazardous materials", including hydrochloric acid and sulphuric acid. French environment minister Francois de Rugy said the government would "do everything ....to reduce the impact of pollution."